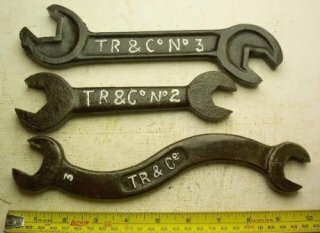 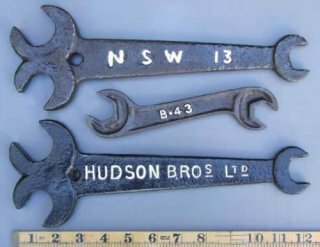 Agricultural wrenches and spanners are categorised as those produced for use on farms or in the maintenance of farm equipment. 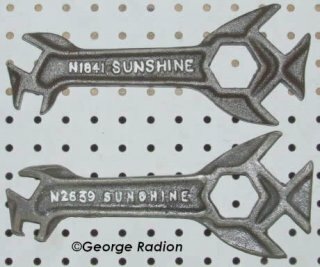 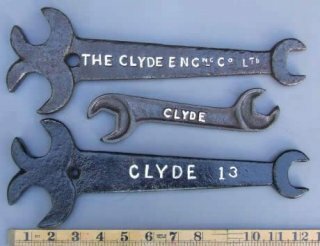 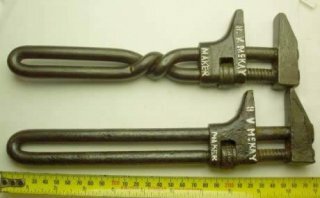 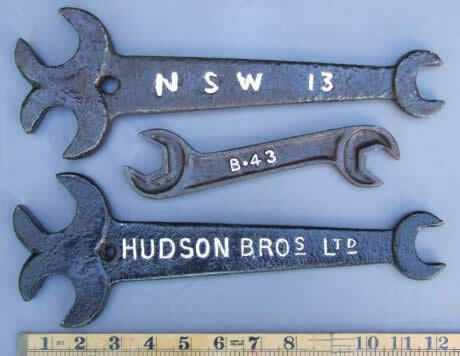 The nature of many pieces of farm equipment was such that they often needed custom-designed tools to carry out routine adjustments and/or repairs. 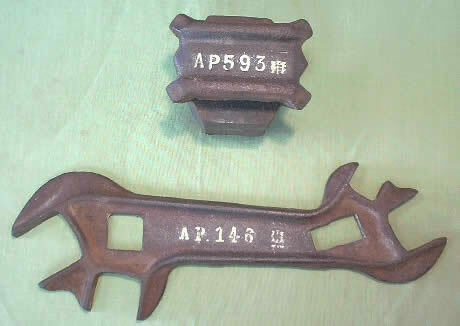 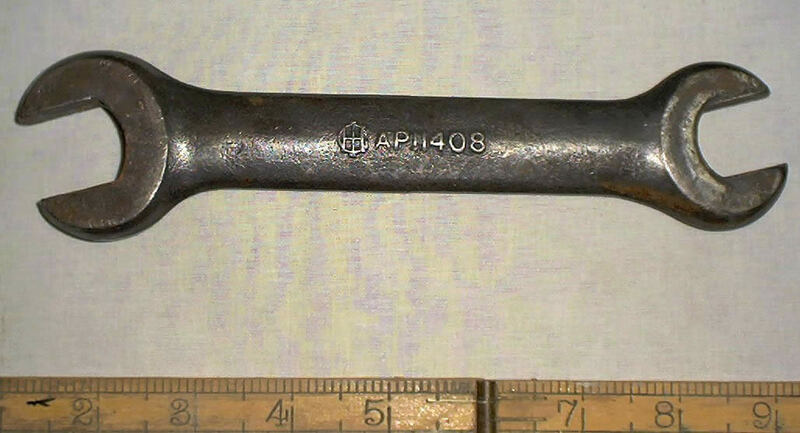 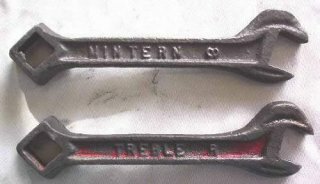 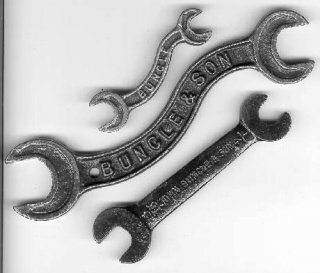 In some cases the spanners needed to be quite large due to the size of the equipment they were used on. in other cases they were designed for the farmer's convenience, as often farmers had to use the tools literally out in the field so wanted the minimum numbers of essential tools and they had to be suitable for use without the aid of other workshop equipment. Agricultural spanner are often of odd shapes to allow for use in confined spaces or because the one tool is used for more than one function.